Doodle Puppy (your breeder) guarantees that upon purchasing any new puppy, the puppy is believed to be in excellent health and has received its vaccinations and de-worming as needed for its age. The buyer is required to take the new puppy to the vet within three (3) days from the time of buyer’s receipt of the puppy. The buyer is required to have the puppy examined by a veterinarian. Proof of visiting examination (Vet receipt) shall be emailed to the puppy breeder within three (3) days of vet’s examination. If at the time of examination the puppy has been found to have any viral illness, worms, parasite/s or other illnesses, Doodle Puppy (the breeder) agrees to reimburse the buyer up to $200 for the cost of any prescribed medication and for any treatment as may be necessary to cure any diagnosed illness. If the puppy has been found to have any of the following hereditary defects, or health issues, which may include but are not limited to Hip Dysplasia, Urinary Bladder Stones, Epilepsy, Degenerative Myelopathy, Heart Disease, Liver or Kidney Disease, Progressive Retinal Atrophy, Osteochondritis Dissecans, Patella Luxation, Hypothyroidism, Collie Eye Anomaly, Addison’s Disease or other hereditary defect which clinically impacts the puppy’s quality of life by the age of two years, as qualified by a certified veterinarian, (the breeder retains the option to request another opinion from a vet of there choice and at breeders expense), the REMEDY POLICY outlined in the paragraph below shall be applicable. Should the puppy be found to have Hip Dysplasia within the first two years, the buyer must provide the breeder with proof in the form of documentation from OFA or Penn Hip. This Health Guarantee does not include any illness due to the ingestion of foreign objects, food, chemicals, or physical injury. If the puppy is euthanized or in any way disposed of without a second opinion from the Breeder’s preferred veterinarian, this Health Guarantee shall become null and void. The buyer agrees to spay/neuter the puppy prior to the puppy reaching 6 months of age unless prior agreement is reached with the breeder. If the puppy is not spayed or neutered by 6 months of age, this Health Guarantee shall become null and void. Buyer has four (4) days from the time of receipt of their puppy to have it examined by a veterinarian with proof provided to the Breeder within four (4) days AFTER the examination. Buyer agrees to continue and complete the vaccination series protocol which requires that the puppy receive series of vaccinations beginning with the breeder vaccinating the dog at 6 weeks of age, and the continuation thereof, arranged and paid for by the buyer, every 3 weeks thereafter until the dog reaches 15 weeks of age. Within seven (7) days after completion of the series of vaccinations, the buyer shall email the breeder proof of the completion of vaccinations. Buyer agrees to feed their puppy only premium quality dog food, specifically pawTree.PawTree will help you create a complete and balanced customized plan for your puppy. Please click hereto find out why Doodle Puppy chooses pawTree as their Nutritional food. The buyer also agrees to provide a safe, secure and healthy environment for their puppy. The buyer agrees to document all veterinary appointments that occur within the first two years of their puppy’s life. The breeder’s primary objective is to breed genetically sound Bordoodles, but genetics are only part of raising a healthy dog. A large component is nutrition. The majority of dog foods on the market cannot be relied upon solely to meet your Bordoodles nutritional requirements. Poor nutrition can be attributed to a number of health issues including a weakened immune system, which can cause mild to severe illnesses including cancer. Therefore the breeder requires, as a condition of this Health Guarantee, that the buyer feeds their puppy pawTree Puppy Food for the first 12 months of their puppy’s life and pawTree Adult Food for months 12-24. The breeder strongly advises the buyer to continue to use pawTree for all stages of the dog’s life. 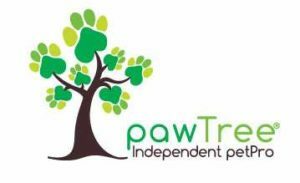 If you would like to find out more about pawTree and what they do to go above and beyond, visit their Blog. If it comes to the point that Doodle Puppy needs to replace a puppy or seek a solution due to a health problem, the buyer agrees to choose one of the following remedies. 1)Upon meeting the above requirements as noted in “Buyer’s Responsibility” paragraph, the breeder will replace a puppy of equal value. When choosing this solution, the buyer is required to return the puppy/dog to the breeder at the expense of the buyer. It is understood that there may not be a replacement puppy available at the time of request, therefore the breeder is given up to 12 months to satisfy this solution. 2)Upon meeting the above requirements as noted in the “Buyer’s Responsibility” paragraph, the breeder will reimburse the buyer in the amount of 100% of the original purchase price of the puppy. It is understood that reimbursement is defined as the breeder giving back to the buyer an amount not exceeding 100% of the original sale price of the puppy, not including costs of shipping or training. When choosing this remedy, the buyer is required to return the puppy/dog to the breeder at buyer’s expense. The breeder cannot guarantee color, size, temperament or whether the puppy will shed or not shed or be hypoallergenic. These can only be estimated, while in the short time in the Breeder’s possession, based on experience, and can always change or differ from this estimation and are ultimately outside of the breeder’s control. The provisions set forth in this Health Guarantee and is the sole warranty and is given in lieu of any and all other warranties, expressed or implied. The breeder will not be liable for any other damages including consequential damages, property damage, emotional distress, loss of use, business interruption, or veterinary fees unless specifically set forth in this warranty provision. In the unlikely event of a dispute or litigation over the conditions and warranties set forth in this Health Guarantee, legal jurisdiction shall be held in the Washington, Snohomish County. Whether a dispute or disagreement over this Health Guarantee takes place within or outside a court of law, buyer and breeder agree to not discuss or speak of any disputes or disagreements to anyone other than each other. Neither the breeder or the buyer will discuss or casually talk about any disagreement or dispute publicly on internet forums, blogs, complaint websites, review websites, facebook, twitter, emails or any other internet communication medium that allows anyone else other than the breeder or buyer to review. Failure to abide by the conditions of this paragraph will result in this Health Guarantee becoming immediately null and void. This Health Guarantee is recognized as a lawful unilateral contract provided by the breeder to the buyer for the buyer’s benefit. This Guarantee supersedes all prior communications, contracts, or agreements between the parties with respect to the subject matter addressed in this Health Guarantee whether oral or written. Thank you for taking the time to read our Health Guarantee. We hope that you have found our health guarantee to be resonable and look forword to reciving a puppy adoption application from you soon.